Dubai: So much has been said about the state of Dubai’s real estate market in the last 14 months, with views tending to be quite extreme. Mark Mobius, the investment whiz, weighed in with his thought just a week ago about an upcoming “real slump”. And there are those who remain bullish on the market’s prospects, countering all negative commentary by mentioning just one number — the Dh4.21 billion in sales revenue that Emaar pulled in from its Dubai operations in the final three months of 2018. Other developers too are doing just as well — there’s Meraas hitting its targets with recent launches such as the Cherrywoods, Dubai Holding’s got its Jumeirah freehold riding a wave, and wasl Properties pulling in buyers for its Jebel Ali and Zabeel developments. So, who are these buyers? Are they investors coming into a soft market because the price is right? Or do they represent a mix of the end-user and the long-term investor wanting to buy into Dubai property because they see value in it? And, of course, enticed by the long-term payment plans on offer from both developers and secondary market sellers. Having invested 25% of my savings, I look forward to owning an asset and capitalising on it. Property sellers in Dubai are reworking that old theme of “Buy now, pay later”. Instead, their version is “Buy now, move in, pay later…”. And they are finding takers for it — maybe not in the numbers seen during the boom years, but still in good enough numbers. In the last 12 months, more of Dubai’s developers — and even individual sellers in the secondary market — are able to attract buyers by offering them the right sort of post-handover payment plans. Whether for off-plan and, increasingly, for ready homes, post-handover schemes of three- to 10 years are helping them seal the deal. The process is quite straightforward — offer buyers a low down payment option, and the stagger most of the payments after they get the keys to their property. The longer the payment period, the better it is for the property buyer to keep his commitments. 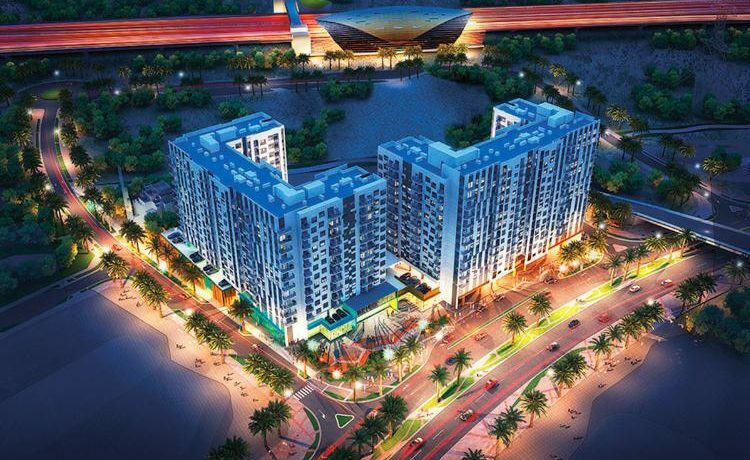 One leading developer, MAG, even has a zero down payment scheme at its MAG City project in Meydan, which means the buyer will need to pay between Dh8,000-Dh10,000 a month to clear off his dues. It is a great opportunity, more so for a fresh graduate who has only just started working. In most cases, since buyers are dealing direct with the developer, there is not even the hassle of trying to find a bank to help with the mortgage. Here’s what Zamina Hussain, who recently moved into a two-bedroom apartment at Azure on the Palm, had to say: “Today’s payment plans are effectively the same as loan instalments … but without the approval process that can be somewhat time consuming. It has made things a lot easier for end-users. 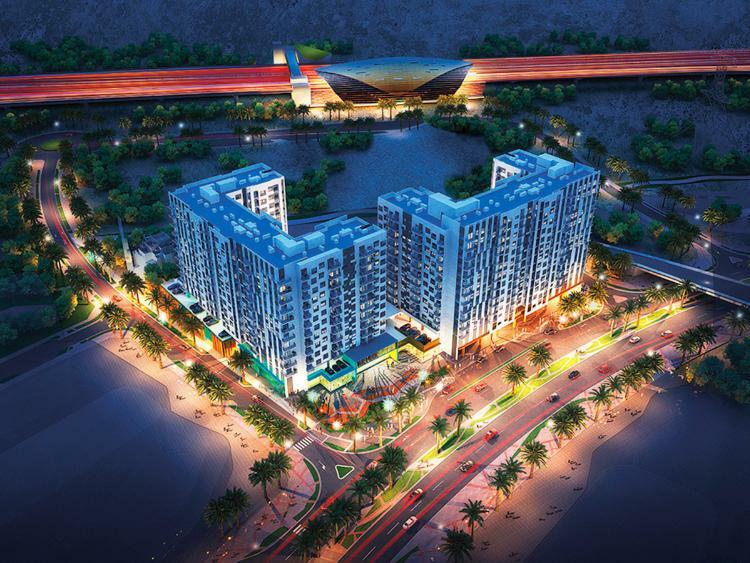 The longer the payment plan, the easier it becomes to service them.” (Farva acquired the property from Nakheel, through a five-year payment plan. The two-bedroom unit cost more than Dh2.5 million.) At a time when property values are under pressure and banks remain extremely choosy about whom to lend to, these payment plans are able to convince more buyers to do so now than wait. In that respect, these schemes have managed to generate quite a bit of momentum. As Uzair Razi, who bought a home at Jumeirah Park, says it: “There is never really a “right time” to buy a property … so by definition, that decision is dictated by considerations other than purely the price. For me and the family, it was about getting a villa in a community that would be our home for the next 10 years. “Who knows whether there will be better deals ahead — we felt this was the right time to take the plunge given that newer communities were generally showing higher selling prices.” (He paid above Dh3.5 million for the ready unit, which he bought from the secondary market. But despite this, he still managed to get a payment plan of five years, something that more individual sellers are willing to do and thus be able to compete with those offered by developers.) Uzair answers the description of the sort of buyer developers and property sellers want to see more of in Dubai — someone who is thinking in terms of holding on — and living in — the property for a decade or more. Because Dubai’s property market cannot rely exclusively on investors coming in and creating a “buy and sell” momentum. Our promotional offers are a public awareness strategy to encourage target groups to invest. Because there is enough talk happening in the marketplace about Dubai’s oversupply situation and what it could mean for the property market going forward, Mark Mobius, the investment guru, was the latest to issue such a stark warning. So, the question for property buyers essentially boils down to whether to heed these warnings or to go ahead with the purchase. Asma Ali chose the second option, picking up a property at “The Nook” cluster in wasl Gate, a sprawling mixed-use community in Jebel Ali, which will be completed late 2021. “Having invested 25 per cent of my savings, I look forward to owning an asset and capitalising on it post-handover by leasing it … or selling it,” said Asma, adding that the flexible payment scheme helped her decide. A one-bedroom there lists at Dh477,777, and 60 per cent of the payment is set on handover. On its part, the developer, the Dubai Government owned wasl, was direct with its messaging. This was built around targeting young Emiratis to get into the property invest ladder at the earliest opportunity. And “steering clear of costly trends that quickly drain financial resources,” the company adds, quite tellingly. So, for the moment and going forward, the focus will continue to be on the post-handover plans. If this way, Dubai’s property market sees enough end-users and longer term investors come in, all the better. For Sana Hassanali, that’s what counts. Having picked up a two-bedroom unit at the Golden Mile on the Palm from Nakheel, she said: “Undoubtedly, the fact that we could get hassle-free payment plans played a large part.” (She gets to pay back over five years.) But for many, the payment plan itself is the deal clincher.